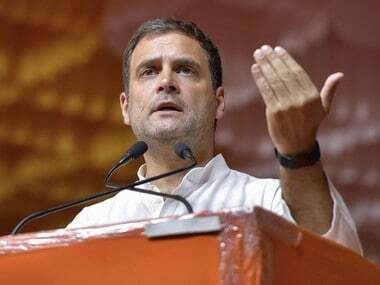 In what has become fairly characteristic with him, Congress president Rahul Gandhi, after releasing the party manifesto for the 2019 Lok Sabha election along with a galaxy of party elders on Tuesday, took questions from assembled journalists. Striding across the stage Town Hall style while replying to the second question directed at him, Rahul used the phrase "economic emergency" to depict what had the nation under its grip. Certainly keen to deploy this jargon at the first available opportunity, it conveyed his intention to keep pushing the electoral narrative back into the economic domain. This was the terrain where Prime Minister Narendra Modi and the Bharatiya Janata Party were seemingly contesting a challenging battle before the terror attack in Pulwama and the Indian Air Force's airstrikes in Balakot that followed. Rahul succeeded in his attempt at the manifesto event, but it remains to be seen whether he can sustain this in the electoral tracks. 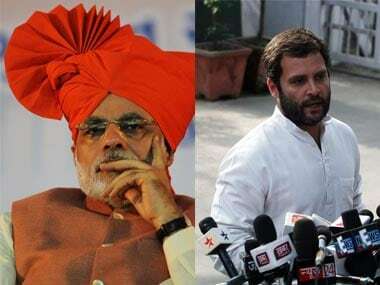 However, keeping the economic narrative in focus is essential for the Congress as the twin events and the subsequent fallout altered the scenario and enabled the BJP to, once again, set the agenda within the framework of populist nationalism, projecting national security as its primary concern. The Congress election manifesto is an effort of the party leadership to bring back focus on bread-and-butter issues, more specifically on employment, rural distress and security of various social and demographic groups. However, lest it is accused of underrating threat to national security, the manifesto pledges to "reverse the trend of declining defence spending under the NDA government and increase it to meet the requirements of the armed forces". Yet, it regained courage to commit itself to amending the Armed Forces (Special Powers) Act (AFSPA) to "strike a balance between the powers of security forces and the human rights of citizens". The party also reiterated what several of its leaders and the defence experts it enlisted — including the overseer of the September 2016 surgical strikes — Lieutenant General DS Hooda, said, that there was an urgent need to "expedite all modernisation programmes of the armed forces". To ensure that the Congress is not seen as ignoring the 'Chalte Raho Pyare Fauji' — as the Central Reserve Police Force (CRPF) is popularly called in police circles — and other paramilitary forces, it has also committed to "improve social security, education and health facilities" for these forces and their families. Much of what the manifesto holds has been released in bits and parts in recent weeks. Besides the promise of catalysing a "job revolution" by filling the vacancies in government positions, there is also the keenly-debated Nyuntam Aay Yojana (NYAY) under which the party has promised to transfer Rs 72,000 per year to the poorest 20 percent in India. 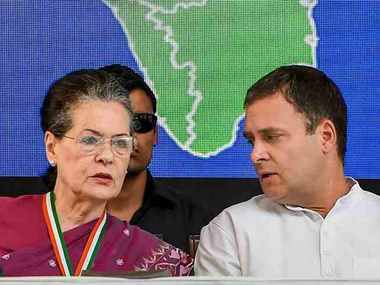 As NYAY is still an electoral promise, much of the idea is still skeletal, though the Congress has announced a few significant details. These include the commitment that "as far as possible, the money will be transferred to the account of a woman of the family who has a bank account or who will be urged to open a bank account". Coupled with this is the promise of introducing in the first session of the 17th Lok Sabha the Bill that proposes to reserve 33 percent of seats for women in the Lok Sabha and state legislative assemblies. The Congress has certainly singled women out in an attempt to woo them. In response to questions raised on NYAY so far, the party has not claimed to hold a magic wand. Instead, It ha said that there would be a "design period" of three months, which would be followed by a pilot for six to nine months and a testing period. That "an independent panel of eminent economists, social scientists and statisticians" will oversee the exercise underscores that the Congress retains faith in outside talent on the lines of the National Advisory Council the UPA government had established after coming to power in 2004. However, whether this panel will function under the Prime Minister's Office or the Ministry of Finance, in the event of the Congress heading the next government, is yet unknown, though the manifesto does raise the spectre of another power centre, given the specific brief of this committee. 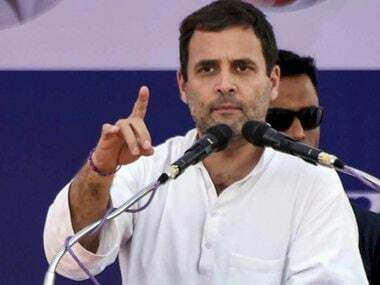 Furthermore, Rahul suffered a slip of tongue at the manifesto launch when he said the battle would be against gareebon (the poor), not gareebi (poverty). The BJP must have been tempted, at its own risk, to use this to ridicule the Congress president because it would keep the slogan alive on an adversarial platform. But Rahul has also learnt the art of dropping catchphrases — 'saral simple tax' being an example, though he still thinks 'Gabbar Singh Tax' strikes a chord with the people. Besides its promise of transferring money to the poor, its proposed 'kisan budget' has the potential to resonate with the distressed peasantry. The promise may be questioned because it comes after the Railway Budget was scrapped, but the BJP knows better than to lend support to this line of criticism for fear of alienating the already distressed rural voters. 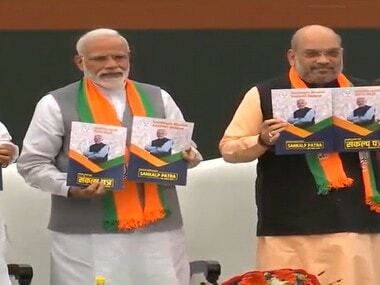 Moreover, the Congress gave the sub-sections in its manifesto smart names: Kaam, daam, shaan, sushashan, swabhimaan and samman (work, wages, good governance, self-esteem and respect). If voted to power, the party needs to ensure an exemplary delivery mechanism, which has been lacking so far. In the past few years, the party had wavered on its ideological stand, and its silence on minorities in the run-up to the Assembly elections late last year was widely commented upon. Now, the Congress has mustered the courage to put forth an alternative ideology. Rahul, in his foreword in the manifesto, pledged that Indians would be "free from fear, free to live and work and pray and eat and love and marry according to their wishes". The Congress president claimed his party's vision stood against the "pernicious ideology that will trample upon people's rights, institutions, conventions and the healthy differences that are the essence of a multi-cultural country". The BJP is likely to now couple these commitments with the storyline that Prime Minister Narendra Modi unveiled in his speech in which he took note of Rahul contesting from Wayanad in Kerala. Although the Congress has the advantage of being a challenger, despite the likelihood that the BJP's workforce will try to project its promises as not doable, there are several pledges that resound positively with people. The promise to the maintain integrity and independence of the judiciary is certainly a political promise. Additionally, the party has pledged to amend the Constitution to convert the Supreme Court into a 'constitutional court' to "hear and decide cases involving the interpretation of the Constitution", besides other cases of national and legal importance. Significantly, the party has proposed to establish six courts of appeal with three judges each to hear appeals against high court verdicts. The slew of proposed judicial reforms, such as preventing post-retirement appointments for judges, the formation of a transparent National Judicial Commission and investigations against judges if allegations are levelled against them, suggest that the Congress has brought several new ideas at a time when the BJP has constricted space for fresh free-flowing concepts. With this manifesto, the Congress has indicated that it is unwilling to settle for the 'B-Team' tag. Instead, the party aiming to be an 'A-Team' of its own standing. Now, party leaders, starting from Rahul, have the task of effectively bringing the message of this 55-page manifesto to voters.